Divide the aubergines, tomatoes and artichokes into large pieces. 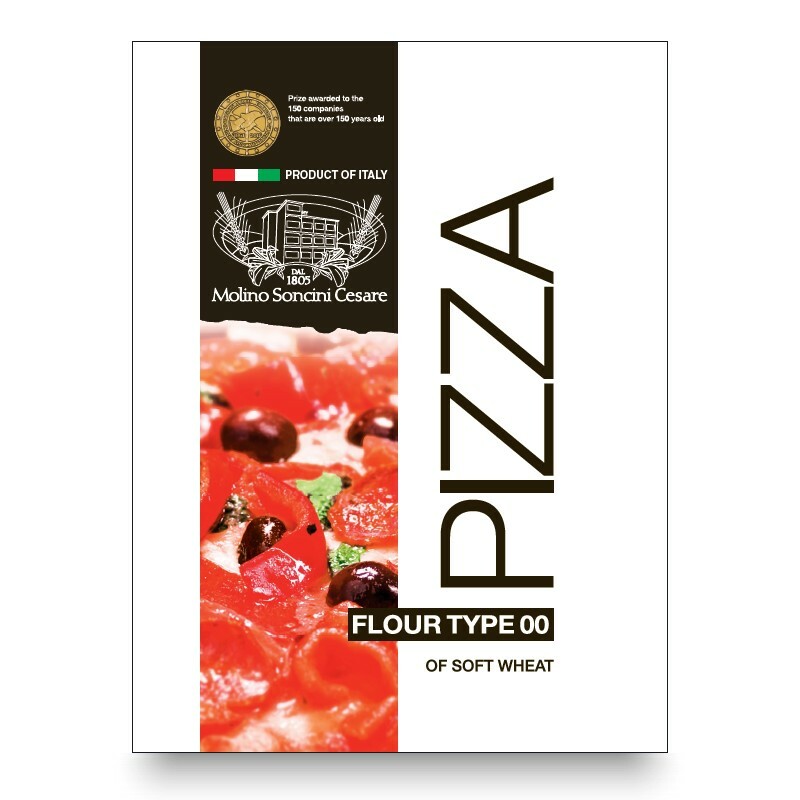 Pour your yeast (melted in 190ml of water) into your dough-maker along with the Pizza flour, and work together. 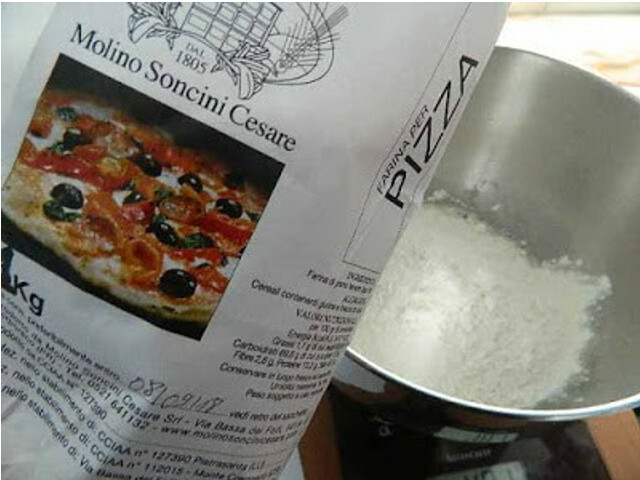 Then add the semolina, oil, the remaining water and salt, and continue to work until your dough is soft and compact. Leave to rise for two hours. Once risen (it should have doubled in volume), squeeze the air of your dough, and roll it out into a rectangle. 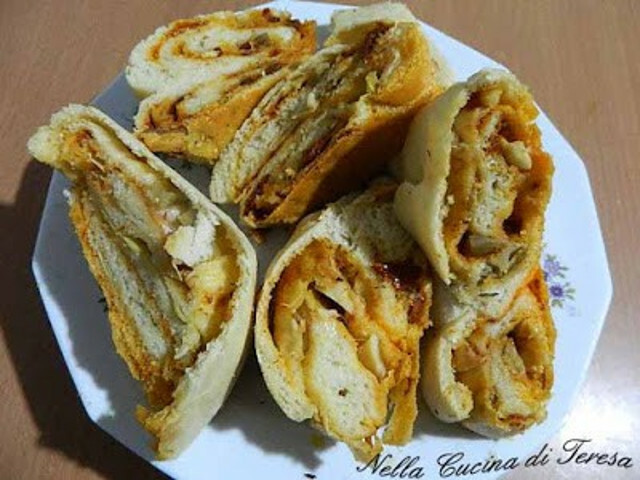 Cover with the n'djua sauce, add the aubergines, tomatoes and artichokes pieces, and close the pizza over on itself (starting from the longest edge) to form a large sausage-shape, before folding it in two and twisting into a rope-shape. Brush the surface with oil and oregano. Place your pizza in baking-foil, and leave to rise for another hour. Once doubled in volume, bake at 180°C for 35 minutes. Leave to cool before cutting into slices. 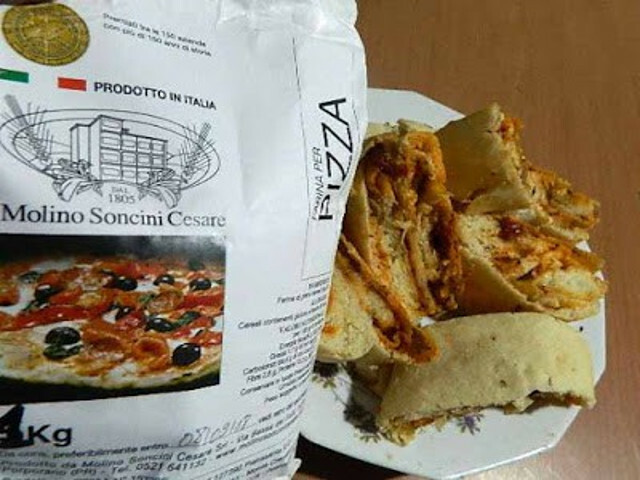 An exquisite unique dinner thanks to the Pizza flour of Molino Soncini and the spiacy taste of Buongustai di Calabria's spicy n'duja sauce.